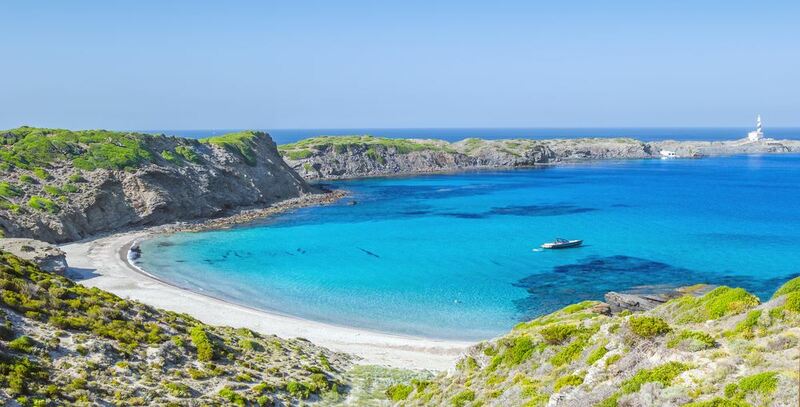 Cala Presili, as well as neighbouring beaches s'Arenal de Morella and d'en Tortuga, are the three most untouched beaches of Menorca's north coast. They are framed by a breathtaking scenery, partly moon-like in character, since the terrain in which the Favaritx lighthouse is located, is made of black stone. These beaches are part of the protected landscape of the Albufera Nature Park. They are only reachable on walking and are visited by naturists. The d'en Tortuga beach is the most solitary beach of the three and hides all its splendour.